Walt Disney’s world had gone to the birds (sorry, Pluto) long before 1963 when José, Fritz, Michael and Pierre – four parrots – began wisecracking and crooning in Enchanted Tiki Room at Disneyland Resort. For instance, several Silly Symphony cartoons of the early 1930s celebrated Walt’s winged friends – Birds of a Feather (1931), The Bird Store (1932) and Birds in the Spring (1933). In 1939, birds helped Snow White with the housework. In 1942, birds of the forest flitted around Bambi. In 1950, bird friends helped primp Cinderella for the royal ball. In the midst of all the creativity showcased on film, Walt traveled to France. While shopping, his eyes beheld a bird in a gilded cage, chirping and singing, its beak moving. But this bird was alive only through mechanical invention. He bought the bird in the gilded cage, an item that to most people would be a conversation piece for a living room mantle. 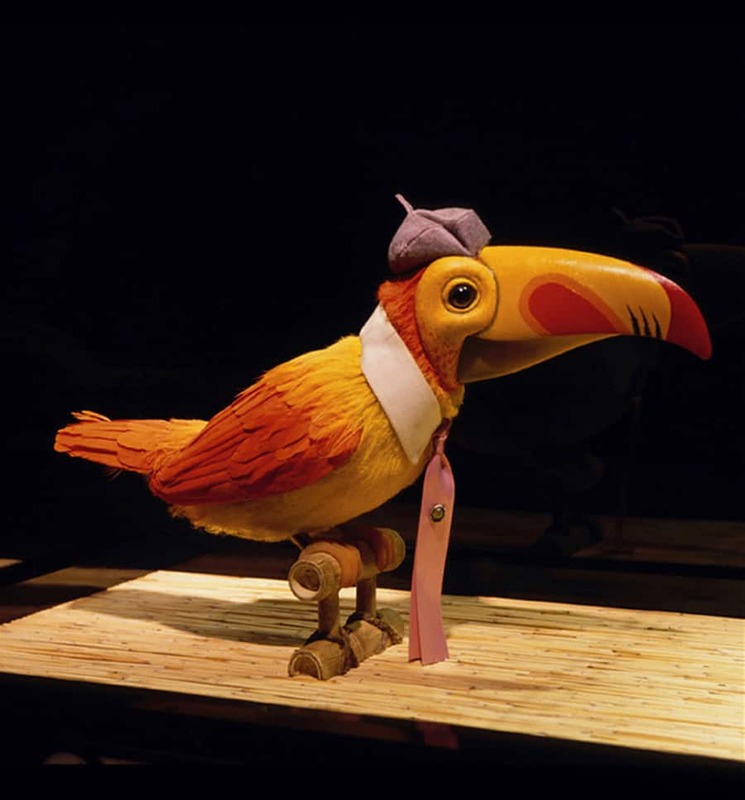 For Walt Disney, though, this bird perhaps held the secret of breathing three-dimensional life into the birds and bees and all the rest of the beings that populated his animated motion pictures. So he put the bird in the gilded cage in the care of his “Imagineers” to figure out what made it chirp and move … and thus began the quest that would reach a milestone on June 23, 1963, with the opening of the Tiki Room at Disneyland park. The show is regarded as the first Audio-Animatronics production. Walt Disney’s Enchanted Tiki Room at Walt Disney World Resort pays tribute to the original Disneyland show, maintaining the original intent created by Walt Disney and his original team of Imagineers. At the same time, it features some modern technology – a state of the art show-control system, remastered audio, and a new versatile and energy-efficient lighting system. José, Fritz, Michael and Pierre and their tropical friends – more than 200 birds, flowers and tikis – come to life daily in Adventureland, at show times throughout the Magic Kingdom Park operating day. As for the bird in the gilded cage? My contacts at Imagineering tell me there actually are two gilded cages, one at the Disney archives in California, the other on display in One Man’s Dream at Disney’s Hollywood Studios. I have always marveled at this infamous bird in the gilded cage, and have always wanted to see it! (like the dancing man that was the first animatronic creation by the Future imagineers!) I did manage to see something that mught be like this at a car and music box musuem owned but the Merle Norman’s (make up), and I longed for them to play it but they did not! I am absolutely thrilled by the return of Walt Disney’s Enchanted Tiki Room. Thank you so much to those that made this happen! I heard that the Enchanted Fountain segment from Disneyland is not featured at the Magic Kingdom show. Will it be added in the future? 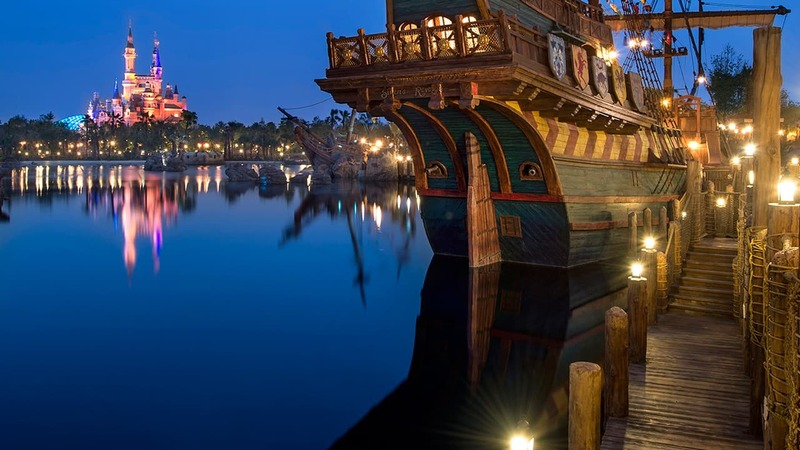 That is such an iconic part of the Disneyland original.